CCI Blazer Brass 9mm Luger Ammo 115 Grain Full Metal Jacket ammo for sale online at cheap discount prices with free shipping available on bulk 9mm Luger ammunition only at our online store TargetSportsUSA.com. Target Sports USA carries the entire line of CCI ammunition for sale online with free shipping on bulk ammo including this CCI Blazer Brass 9mm Luger Ammo 115 Grain Full Metal Jacket. 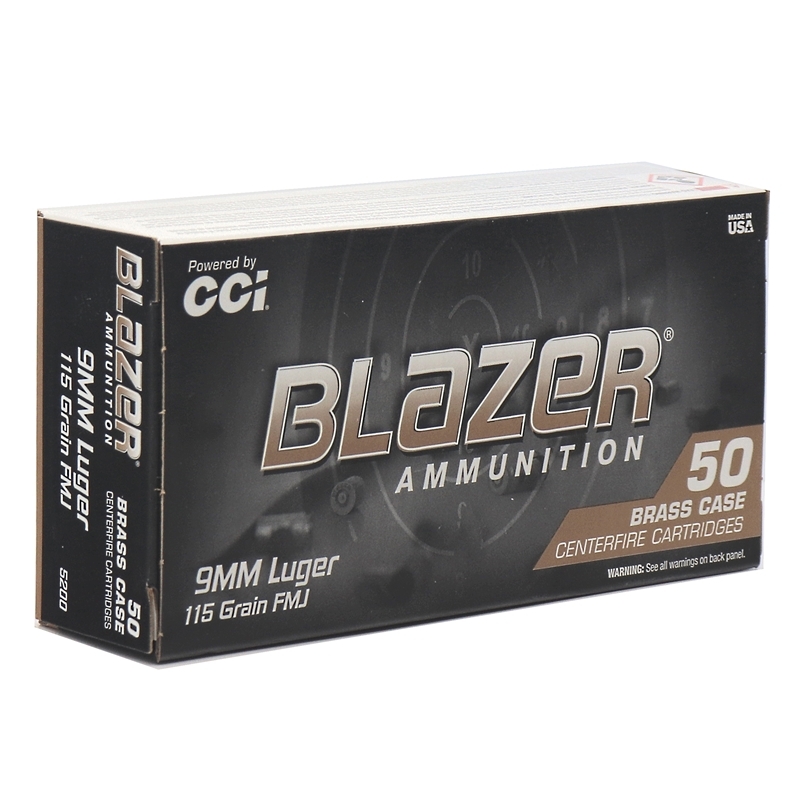 CCI Blazer Brass 9mm Luger Ammo 115 Grain Full Metal Jacket ammo review offers the following information; 9mm Blazer Brass ammo made by CCI is your best choice for bulk 9mm target shooing ammunition. 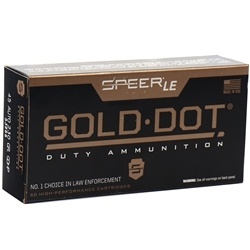 Newly manufactured 9mm ammo here in the United States, that features a full metal jacket copper plated bullet, brass casing, non-corrosive primers. Made by the same company that manufactures Speer Lawman 9mm ammo as well as the Federal American Eagle 9mm ammunition Blazer Brass 9mm Luger ammo features the same great quality components and manufacturing equipment. If you choose to reload your 9mm ammo, CCI Blazer Brass offers virgin brass that can be reloaded up to 5 times due to its exceptional high quality and low mixtures of other materials. Trusted CCI has gone above and beyond with the Blazer Brass line! With the same high standards that shooters have come to know and love with standard Blazer ammo, the Blazer Brass line gives the benefit of a brass casing making it reloadable. 9mm Luger by CCI are an excellent choice for target practice or just plinking around at the range. CCI Blazer Brass 9mm Luger is a new production, non-corrosive, re-loadable ammunition with boxer primers and brass casing. 9mm ammo is by far the most popular gun cartridge in the world. Recently adopted by the FBI and other law enforcement agencies, 9mm ammunition is perfect for target shooting and personal protection as well. 9mm ammo is fun to shoot, offers relatively low recoil and yields great target results. CCI Blazer Brass 9mm Luger is a new production, non-corrosive, re-loadable ammunition with boxer primers and brass casing. Blazer Brass 9mm ammunition is perfect for target shooting and personal protection as well. Order a case of CCI Blazer Brass 9mm ammo get Free Shipping. Can't beat the price for CCI Blazer Brass ammo plus free shipping. Response:Bulk CCI Blazer Brass 9mm ammo is 1000 rounds, which is a case of 20 boxes of 50 rounds each and it does feature free shipping. Thank you for visiting Target Sports USA.